What better way to get an authentic taste of Madrid than to eat your way around the city with a fellow foodie? With a Local Host by your side who is as passionate as you are about eating authentic local dishes and buying seasonal produce and regional speciality ingredients, discover where the local foodies head for their fix of Spanish classics and to shop for their favourite foods. Discover Madrid’s best kept foodie secrets: from hidden tapas bars to artisanal delis, the best food markets to local cafeterías, we promise it will be delicious! 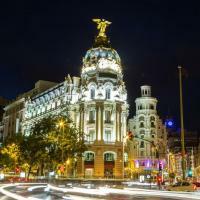 Get to know Madrid’s food: from traditional staples to innovative twists on the classics, exquisite tapas to churros on the street corner, your local will take you to three of locals' favourite markets, neighbourhood tapas bars and cafeterías where you can taste the best local dishes and artisanal produce. Immerse yourself in the city’s food culture, eat and drink like a local and buy ingredients and delicacies to take home with you. Spend time getting to know your Local Host, chat about your favourite cuisine and get some insider recommendations and tips for the most authentic locals places to eat and drink on the rest of your trip so you can avoid the tourist traps and eat where the locals love to eat. We’ll be in touch within 24 hours after booking to find out more about your personality, interests and the food you love so we can assign a like-minded local who can create a bespoke experience for you. Your Local Host will communicate with you directly to suggest an itinerary and agree a meeting time and place. Your itinerary is flexible, so during the experience you can always change your mind about what you want to do (and eat!). Your Local Host may also suggest adjustments or new routes if they feel that there is something just around the corner that you may enjoy, or perhaps if the weather affects your itinerary. Although you will see well known markets and stores, your Local Host will also help you to discover the places, things and stories that you won’t find in a guidebook and that make the city unique. Cancel up to 7 days before your experience and get a full refund. Your meeting point is flexible, and to be agreed with your Local Host. Meet-up at your hotel or accommodation can be requested, or your Local Host will meet you at a convenient location close to the start of your experience. 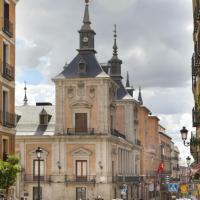 * Join a local to discover Madrid’s incredible food culture and taste classic Spanish dishes. 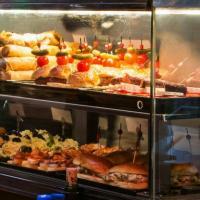 * Explore the city and soak up the culinary culture and history. 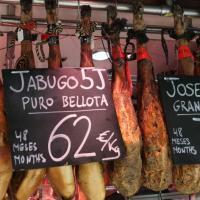 * Visit a local market, one of Madrid's favourite markets and taste some classic Spanish cuisine. * Sample 3 dishes and enjoy a beer, glass of wine or soft drink with your food. * Get to know your host and get tips and recommendations for the remainder of your trip! Private and personalised to what you want to see and do. Multiple languages available. Request at time of booking. We are a friendly bunch so get in touch if you have any questions or suggestions!